AEGEE (Association des Etats Généraux des Etudiants de l’Europe – European Students’ Forum), “Forum degli Studenti Europei” in italian, is a student organisation that promotes co-operation, communication and integration amongst young people in Europe. 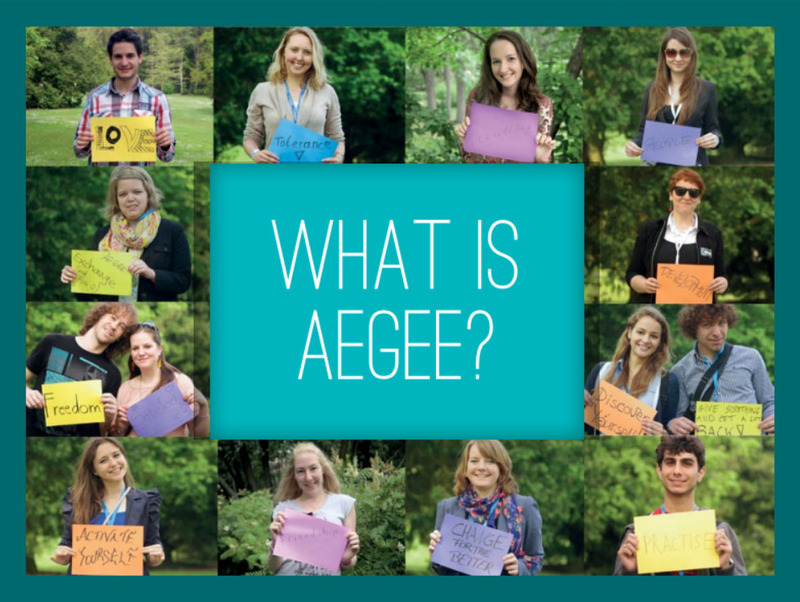 As a non-governmental, politically independent and non-profit organisation AEGEE is open to students and young professionals from all faculties and disciplines – today it counts 13.000 members, active in more than 200 university cities in 40 European countries, making it the biggest interdisciplinary student association in Europe. AEGEE, which was founded in 1985 in Paris, puts the idea of a unified Europe into practice. A widely spread student network provides the ideal platform where youth workers and young volunteers from 43 European countries can work together on crossborder activities such as conferences, seminars, exchanges, training courses, Summer Universities, Case Study trips and Working Group meetings. By encouraging traveling and mobility, stimulating discussion and organising common projects AEGEE attempts to overcome national, cultural and ethnic divisions and to create a vision of young people’s Europe. The structure is based on an European level (a European Board of Directors working in Brussels and 4 Commissions, 11 Working Groups and 9 multinational Project Teams) and on a local level (the 200 antennae or local groups, forming the Network). All the numerous events and projects run by the organisation are to be focused on our 4 Fields of Action (Cultural Exchange, Active Citizenship, Higher Education, Peace & Stability) and 3 Focus Areas (European Citizenship, Global Challenges and Intercultural Dialogue). Among AEGEE’s most well-known achievements there are the establishment of the Erasmus Programme, in which AEGEE has been directly involved, and its longest running project, the Summer University, gathering each summer thousands of volunteers who contribute to open a new perspective to the participants over the multicultural dimension of the European continent, providing high-content, high-quality and low-cost summer courses (ranging from language courses to seminars about political, cultural, environmental issues). AEGEE has participatory status in the activities of the Council of Europe, consultative status at the United Nations, operational status at UNESCO and is at the same time a member of the European Youth Forum. The organisation has also a number of illustrious personalities amongst its general partners: Mikhael Gorbatchev, the winner of the Nobel Peace Prize; Vaclav Havel, former President of the Czech Republic; Eric Froment, former President of the European University Association, Wolfgang Thierse, former President of the Bundestag and Romano Prodi, former Primeminister of Italy and President of the European Commission.